As a mom of two young girls, I can relate to the many masterpieces that tumble out of my girls backpacks each and every day. Each piece of art seems more "important" than the last, so I try and find creative ways to hang them, display them and ironically tuck the really good ones away so I can have them for years to come! 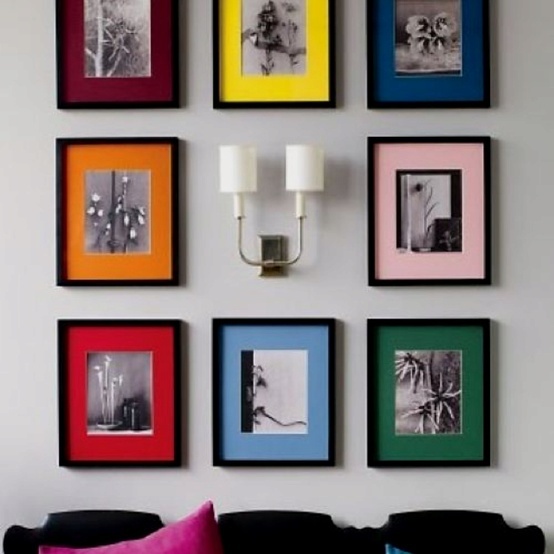 Hanging a series of art above your bed is more soothing than one large piece- in this application, more pieces have less impact than one, so it's more calming for a bedroom. I like to stick to organic subjects like the sea, beach or botanicals because they don't have too much color that can overpower the space. 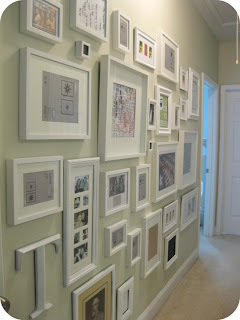 Adding fun or interest to an interior hallway is never easy, especially when there are no windows or focal points. 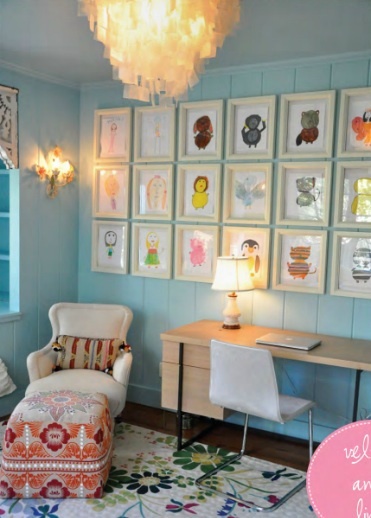 Of course, wallpaper can be the easiest solution but hanging frames in abundance in these confined spaces really adds a lot of impact! 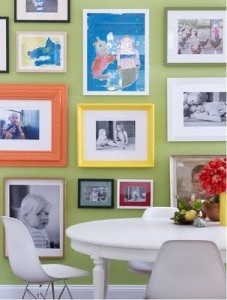 Keeping the frames to one color, lets you see the photos or art much more and also streamlines the small space. 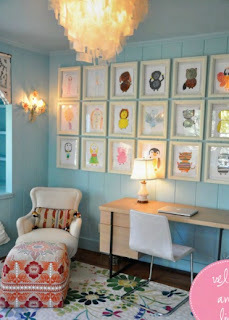 How do you decide how to hang the frames? In what pattern, how high and how close to furniture? Take your time and really plan well before you start drilling nails into your wall. 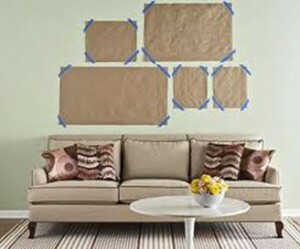 Use paper templates with painters tape first to decide how you want to hang the frames, especially if they are different sizes. 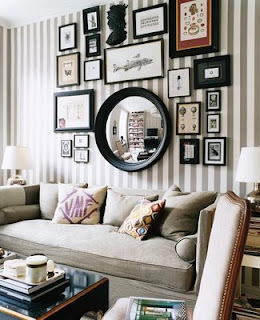 If the room needs a focal point, add a mirror or a dimensional object into the mix to make a bold statement. If you are hanging above a sofa, don't hang too high. I promise your guests won't hit their heads! In general, only leave about a foot between your art and the top of your sofa and then center it from there to your ceiling. Now- this is the most common question... don't have any art? 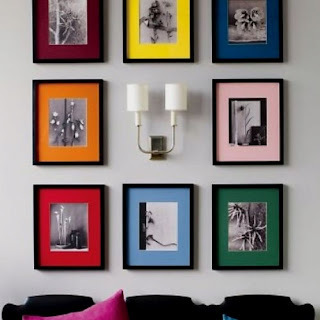 Use one of your coffee table books and frame 6-10 images in similar frames to create a series. This is a great DIY tip that can be done in a day! Good luck! and email us at help@wolfedesignhouse.com with any questions you may have! We look forward to hearing from you.